The only place that is closer than Basey’s to grab a beer and burger is the concession stand! This family friendly bar and grill will be less rowdy than the typical downtown restaurant. Basey’s is a classic, no-frills, affordable spot with amazing food. A Long Island Pitcher and an order of Pepperoni sticks are always a winning combo! There’s plenty of space inside and on the patio but on game days the place will be packed with fans decked out in blue! Kilroy’s downtown is 21+. Kilroy’s has a really fun and lively atmosphere but is still a bar that is nice to sit and relax with friends. 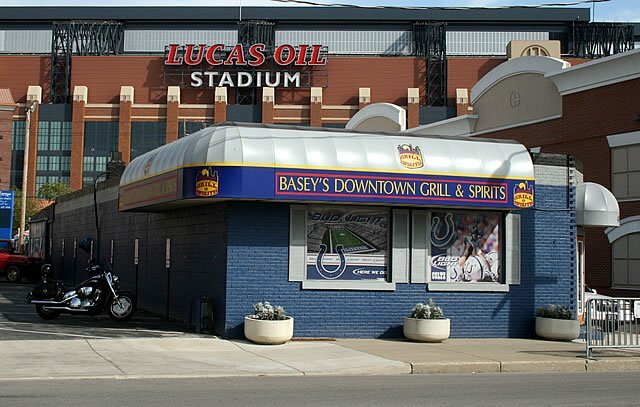 Walkability to Lucas Oil Stadium: 0.3 mile, 6 min walk. Indiana’s oldest bar has been operating since 1850! Slippery Noodle is part of the classic Colts game day experience. They open at 10 am on game days and minors are welcome before 8 PM. Walkability to Lucas Oil Stadium: 0.4 miles, 9 min walk. 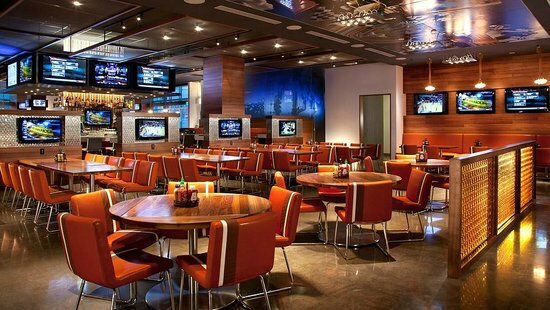 Located inside of the JW Marriott, High Velocity is an upscale sports bar and grill. This family friendly restaurant still delivers the fun and excitement of a sports bar with a higher end atmosphere and menu. High Velocity is family friendly but will still be loud and packed on game days. Walkability to Lucas Oil Stadium: 0.8 miles, 16 min walk. This local sports bar empire packs fans in due to their affordable menu with over 50 items to choose from and 84 TVs. Visitors most enjoy their fried dill chips and large outdoor patio overlooking downtown Indianapolis. Scotty’s is a great spot for the whole family to celebrate.